H.I.D. (High Intensity Discharge) Conversion Kits have become one of the best personal investments in car accessories. HID Conversion Kits provide more than 300 percent the amount of light of a Halogen bulb. The clear white light produced by HID Conversion Kits is similar to daylight, reflecting road markings and signs better than conventional lighting. The Xenon Bulb is a micro-discharge bulb filled with a mixture of noble gases including Xenon, and its life time of the bulb is equal to that of the car. The bulb has no filaments and the light arc is created by two electrodes, giving it a wider range of illumination. These Systems are modified for specific vehicle applications and fit directly into your existing headlights. All HID Kits are special order. HID/xenon conversions can be done to almost all vehicles. There are a few limitations which are the following. High/low bulbs (two filament bulbs such as H-4, 9007 will lose their ability for High beam. This is because the HID bulb is only a one beam bulb it can not function as a dual high/low beam. Only one or the other. To convert a car or motorcycle to be HID equipped, you must purchase or use the following units. Ballasts (amplifiers), Igniters (if not built into ballast), Hid bulbs, and 20 amp fuses (for startup). If your car or bike uses a sealed halogen beam you will need a sealed beam conversion. Other options include wiring harness, upgraded factory harnesses, and relays. To find out which Bulb type is right for your vehicle, BULB APPLICATION GUIDE. 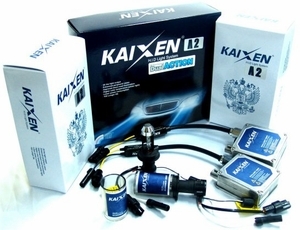 Click here for a comparison of HID Conversion Kit Specs.